Anyway, in this encore PODCAST, you will learn one singularly simple concept which, if you take it to heart, will change your life forever. It is my sense that in contemporary Christian culture in America, we have lost sight of the elegant simplicity spoken of in the New Testament. And consequently, we have lost so much of God’s blessing in the process. So here’s to simplicity, with the hope that your life overflows with God’s bountiful blessing as we together apply this principle to our lives. You talk about a guy presented with a once-in-a-lifetime golden opportunity, an opportunity that he squandered. An opportunity that he squandered Badly.And.Sadly. As you will hear in this PODCAST, this is an offer rarely made, and shockingly dismissed. A young man who burst on the scene like a blazing comet streaking overhead, only to flame out and fall out of the sky to come crashing and burning to earth. One thing’s for sure. Jesus never took a class on Personal Evangelism, witnessing, soul winning, or whatever you want to call it. Because, to be honest, Jesus Broke.Every.Rule of personal evangelism in this very personal encounter. Here you have what we call in our contemporary Christian culture a seeker coming to Jesus to ask Him one question. THE question. The single most important question. A softball question that any one of us could answer. This young man asked Jesus exactly the right question, to which Jesus gave him exactly the wrong answer! Don’t fault me for asking that. Jesus’ own disciples thought that Jesus gave him the wrong answer. Check it out: The disciples were “astounded and astonished” when they heard Jesus’ answer. All this guy needed to do, all that Jesus needed to tell him to do, was to pray a “Jesus, come into my heart” prayer, right? Yet, by the time Jesus got done with him? The young man walked away. Yeah verily, I will add, so worthless that Jesus offended him. Lost him. Drove him away. Welcome to this Jesus in HD Encore PODCAST. I am coming off of an exhilarating week with the best students in the world, the Joshua Wilderness Institute students. So in my absence, and for your edification and enjoyment, I have reached way back into the archives, all the way to Podcast #61. This was at the time a wonderfully received and enormously helpful discussion that brought so much peace to so many troubled (and sometimes tortured) souls. If you were ever going to hear just one message on the mysterious and majestic practice we call prayer, let this one be the one. For here we come to the crux of the matter regarding this glorious thing we call prayer. So much is going to become so clear in just the next few minutes: Questions about unanswered prayers. Questions about why God even designed this thing called prayer. Questions about the purpose of prayer. Questions about what we ought to pray for, and what we don’t need to pray for. Why prayer sometimes doesn’t seem to work. Yet why every time we pray biblically, it ALWAYS works. So much to talk about. I am so glad you are here to share in this discussion with us. HAPPY LISTENING, and may God richly bless you as you listen. 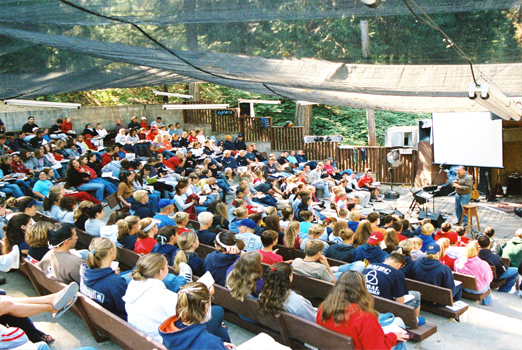 While I am away speaking at one of my all-time favorite places on Earth (Hartland Christian Camp), the topic of this encore PODCAST is one of those subjects that touches us all, deeply and profoundly. The ripples of any divorce, every divorce spread their concentric circles far and wide. Trust me! Over the years, having dealt up close and personal with many, many people, I have heard some of the most atrocious applications of this passage. This to the point where emotionally and spiritually fragile individuals, whose lives have just been rocked by their own tragic divorces, now have whatever fragments they have left of their broken lives crushed by well-meaning, but grossly misinformed, Christians errantly and judgmentally spouting this passage. And then in fine Pharisee-esque style, walk away from them, leaving untold wreckage in their wakes. You know what? Sometimes things really are as simple as they seem. This ironic little truism was never more true than Jesus’ words here at the tail end of the SOTM. This is our 73rd installment of Jesus in HD. When we began this series back on November 9, 2012, we stated our primary foundational premise, one (I am pleased to say) from which we have yet to depart. That foundational premise being this: We were going to lay aside all preconceived ideas of who Jesus is, and take a fresh new look at the four Gospels, which is to say, a fresh new look at the life/ministry of Jesus from birth – death – resurrection – ascension. And we will discover anew exactly who Jesus really is. This approach has served us well, yielding for us some fresh and refreshing new insights / a whole new portrait of just who Jesus was and is. This never more true as when we come to a passage like the one we are considering tonight. How’s this for one weird command? Really? Did Jesus really say that? Did Jesus really mean that? Did Jesus really command us to do that? So I’ve got to ask: In this context of Matthew 7:1-6, who are the people who are unholy? Who are the pigs (ceremonially unclean animals)? Wanna take a guess? According to Jesus, what should be our response to those who do judge others/krino us? What should be our response to someone whom Jesus proclaims as unholy and unclean? This will indeed sound harsh. It needs to be harsh. Harsh words for those of us on the receiving end of such harsh judgmental treatment. Because nothing less than your soul and mine is at stake here. And let me respectfully remind you that Jesus said this, not me! What should be our responses to those who do “judge” us or “judge” others? To Spiritual Abusers? Ready? What should be our responses to those who do appoint themselves as our judges? Who mask their judgment by invoking the culturally Christian mantra, “I’m holding you accountable”? Don’t try to reason with them. Don’t get into an argument with them. Don’t try to correct them. Don’t defend yourself. Don’t debate them. Or in Jesus’ words, Don’t cast your pearls before those who cast stones either in your direction or in the direction of others. We are under absolutely under no biblical obligation to tolerate Spiritual Abuse at the hands of another. If that is the price that we must pay to have a relationship with these individuals, then the cost of these relationships is far too much to pay. Jesus taught, and our life experiences confirm, that dialoging with judgers is fruitless, damaging, and too often lethal to our souls. This because judgers will twist the Bible — wield their double-edged swords (Remember that metaphor from our previous discussion? — and use their swords to stab, slash, and decapitate us, decapitate you! Which is exactly what they do. Your soul and mine is too precious to expose ourselves to that kind of judgmental, soul-crushing, spirit-killing treatment. If you want to hear the entire discussion, click on the podcast player and get ready to be refreshed. Why our propensity to do what Jesus expressly told us not to do? Namely, “Do not judge others”? 1. We tell people, Just pray a “Jesus Prayer,” or what is sometimes called “the Sinner’s Prayer,”and you’re in. When we ask someone to tell us their testimony, what are we asking? When/where did you pray the “sinner’s prayer”? We have come to believe that becoming a Christian is all about “asking Jesus into your heart.” IOW, praying a Jesus prayer. Now that’s quite a metaphor, as you’ll see in mere moments. A double-edged sword. 3. We then teach them that they are competent to use it. When the Spirit of truth comes, he will guide you into all the truth. There it is, we tell our newly-born convert. Just pick up your Bible and read it. And as you read it, the Holy Spirit will personally teach you what the Bible says, what the Bible means, how the Bible should be applied not only to our lives, but to the lives of everyone around us. I mean, this gets downright frightening! Because we put this doubled-edged sword into the hands of babes whose only claim to fame is that they prayed a prayer. There is so much more I want to tell you, but you cannot bear it now. When the Spirit of truth comes, he will guide you (Who’s the you? Who was in the Upper Room with Jesus when He said this?) into all the truth. He will not speak on his own but will tell you what he has heard. He will tell you what is yet to come. Not to get too theological on you here. But John 16:13 is NOT what we call an Illumination verse. John 16:13 is a Revelation verse. This passage that has nothing to do with the faulty notion that you and I just pick up our Bibles and read them. And the Holy Spirit will personally teach us what the Bible says, what it means, and how it should be applied not only to our lives, but to the lives of everyone around us. If it did, why do we need teachers? Why listen to sermons? Why read commentaries? Why study the languages–vocabulary/grammar? Why understand the culture? Why learn the geography? Why learn the history? Why learn archaeology? John 16:13 has nothing to do with us. Jesus made this promise to His disciples on the night before His crucifixion. This verse has everything to do with the apostles writing the New Testament! OK, so, pray a prayer and you’re in. Here’s your double-edged sword. You are competent to use it. 4. We then teach them — if you can imagine this — we teach them that the highest virtue of Christian living is to take their Bibles — their double-edged swords, lethal weapons, placed in the hands of these, what Peter called in 1 Peter 2:2, “newborn babies” — and to wield these swords at each other. Krinos who just LOVE to spot something not quite kosher in your life or mine, wag a finger of judgment at us, spew a memory verse or two, and then smugly walk away thinking that sure did serve Jesus today by taking a stand for His truth. We say that Christians are notorious for shooting their wounded, Yes? I’d suggest that — to use the biblical metaphor — “Christians,” not Christ-followers (You know by now how often I make that subtle-yet-significant distinction) — “Christians” are notorious for stabbing, slashing, and decapitating their wounded. “Christians” judge others. They make a sport of judging others. Christ-followers do not. So one final question to consider: How should you and I respond to those “Christians” who do judge others? We’ll answer that question tomorrow. And the answer to that question will astound you.